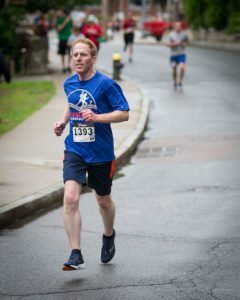 The Parkway Running Club (PRC), based in West Roxbury, MA welcomes adult runners of all ages and abilities from the occasional jogger to the experienced runner. We are committed to ensuring that no one is excluded who wants to improve his or her life through running. The mission of the Parkway Running Club is to promote physical fitness through running, encourage team competition in running events, and provide a supportive environment to help members reach their individual goals. On this website, you’ll find information about club meetings, races & social events, group run times, and how to find other compatible runners. Like what you see? Come join the club!